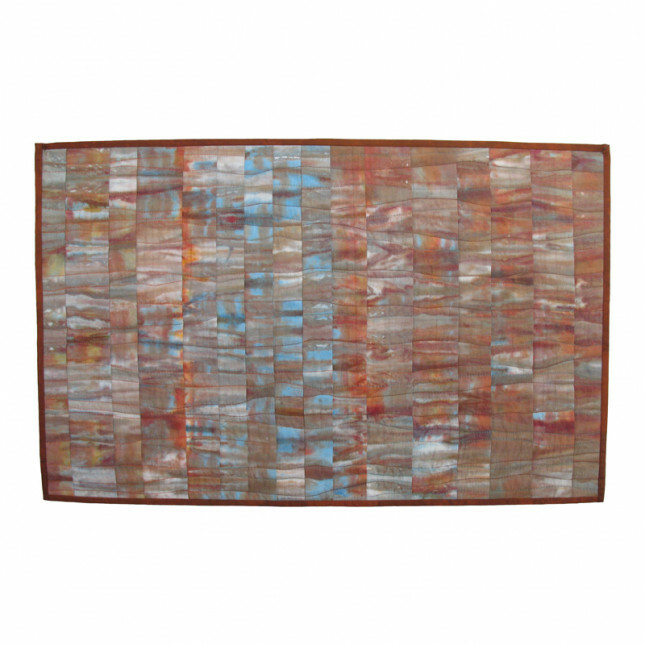 This piece hangs from a velcro'd wooden batten, tailor made for the piece to be invisible. This can be attached to the wall via integral mirror fixings, or suspended from hooks. The work comes with full instructions on how to care for your textile. Unique hand dyed fabric (cotton percale) joined in narrow strips to group colours together to create a visually shifting complex pattern of strips and stripes of colour. 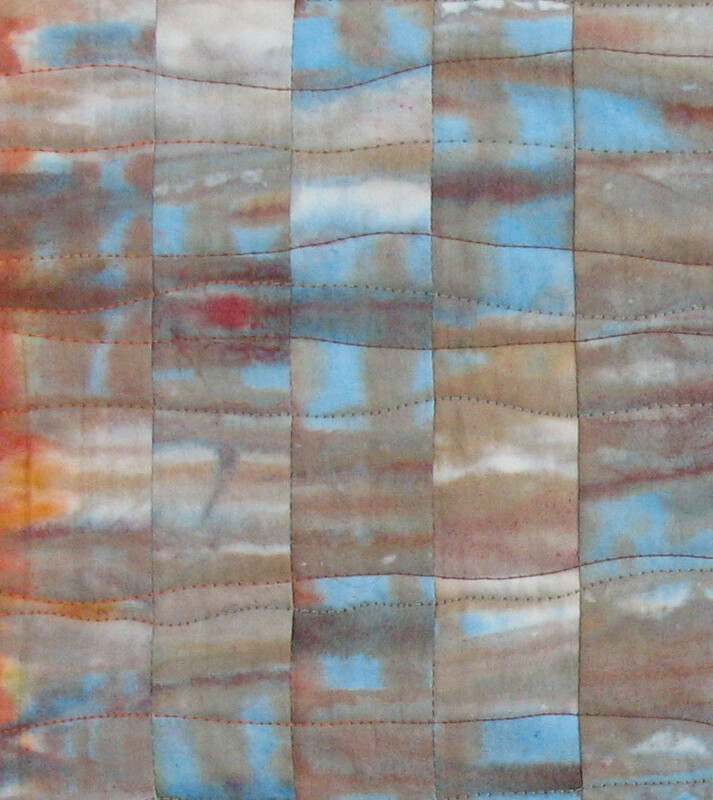 The whole piece was then machine quilted to echo the marks and movement in the piece. This quilt wall hanging was hand crafted with love and attention to detail.